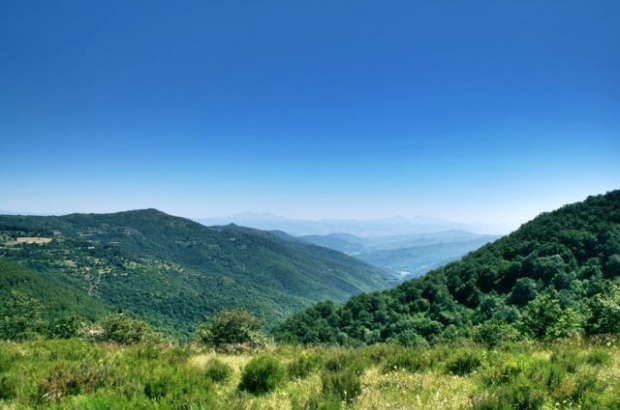 In October 2014 Gorgacce Rentals is offering guided walking holidays on the Tuscany Umbria border, Italy. As our guest on this holiday, you will stay at Ca di Bracco, a beautiful farmhouse in the Niccone Valley. The itinerary of walks is designed and led by by Martin Daykin, the owner of Ca di Bracco and author of local walking book, Circular Walks On The Tuscany Umbria Border. In addition to walking in beautiful countryside, the itinerary is designed so that you visit local towns, markets and artworks, it also includes a visit to a local winery. The cost of the holiday is £890 per person with a single supplement of £100. There is a maximum group size of eight people.